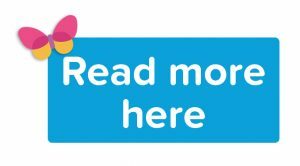 Find out how a low calorie diet such as The New You Plan could reverse your type 2 diabetes, even if you’ve been living with the condition for 10 years! New research has revealed that type 2 diabetes can actually be reversed by following a low calorie diet, such as The New You Plan. A study by Newcastle University Scientists – which was presented at the European Association For The Study Of Diabetes in Lisbon – reported that sticking to 600 calories per day for 8 weeks could save the lives of millions of sufferers, living with the preventable condition. Diabetes occurs when the body’s excess fat is passed to the pancreas, which in turn causes the insulin-producing cells to fail. Losing less than just 1 gram of fat in the pancreas is enough to kick start the organ to re-produce insulin, reversing the condition. But what’s more than this, is that the process of reversing diabetes is possible in patients who have lived with the condition for up to 10 years. This means that long term sufferers could finally find relief from diabetes, simply by following a low calorie diet, such as The New You Plan. “I think the real importance of this work is for the patients themselves. “Many have described to me how embarking on the low calorie diet has been the only option to prevent what they thought – or had been told – was an inevitable decline into further medication and further ill health because of their diabetes. One of the biggest revelations of the study, is that it showed results within just one week of following a low calorie diet. Insulin sensitivity fell, while fasting blood sugar levels restored to a normal level in just 7 days. Diabetes is often referred to as the silent killer, with more than 380 million sufferers worldwide. The condition can lead to a range of complications such as heart failure, blindness, kidney disease and leg amputations. Furthermore, the study’s finding also revealed that research participants enjoyed following the low calorie diet, reporting no hunger or tiredness and rapidly increased wellbeing, which is something our own customers frequently state. Many people think that this type of low calorie diet plan will result in extreme hunger and tiredness when in fact the opposite is true. As the meal replacements contain under 60g of carbohydrates per day, and the correct nutritional balance of fats, protein, fibre and nutrients, your body goes into a safe and natural fat burning state called ketosis. This switches the body’s fuel source from glucose to body fat. Maintaining the food replacement diet and not eating other foods results in the body experiencing high levels of energy and no feeling of hunger, which are common with other types of diets. With a range of more than 40 meals and snacks, The New You Plan has helped over 40,000 men and women finally achieve their weight loss goals. Rated 9.4 on Trust Pilot, with five star reviews from real customers, we are the UK & Ireland’s fastest growing weight loss plan. But what sets us apart from any other plan, is the unconditional support you’ll receive. We don’t just sell you diet meals and leave you to it. Our exclusive private Facebook support group has over 6000 active members and is a hive of activity and motivation to help you stick to your weight loss goals. The results of following a very low calorie diet can be amazing! In just a short space of time, so much can be achieved! 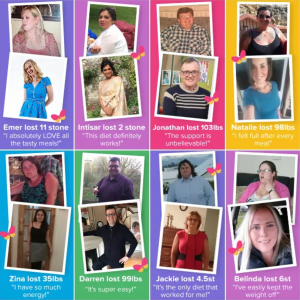 Check out the success stories section of our website here and read the interviews with our customers about their amazing weight loss results with The New You Plan. ← [TFR Phase 3] Week 28: 81lbs Gone For Good!